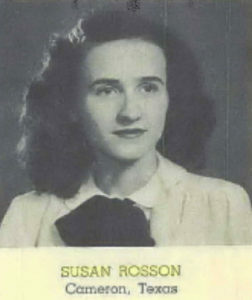 Finally, I found out about John and Ruth (Coleman) Rosson, and their daughter, Susan Coleman Rosson. I was very excited to learn about another family who lived in the old house. 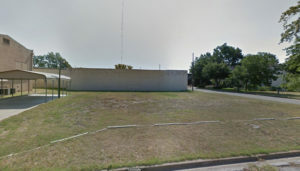 But, then I found the three addresses associated with Susan (who, by the way, was an English teacher at Yoe High School a LONG time and sponsored the Honor Society). One was an apartment building on the west side of town, and another was a neat house on a big lot, over by the Country Club area. The final address, from her childhood, was not on Gillis. It was 205 S College Avenue. That would be on the Corner of Gillis and College, which is the location of the Gillis house, but across the street! This is where the Rosson home was located. It’s not there. What’s there? The empty lot we own next to The Hermit Haus. So, my Cameron connections were right, they DID live behind the church. Only, they lived directly behind the church in a house that’s no longer there. So, now we have NEW neighbors to remember, but not residents of the Gillis House. Back to the research vaults for my other search, but it was cool to learn about another family. She must have known Aunty of Aunty’s House, since she was also a teacher at the school who lived alone for many years. She apparently never married nor had children. I wonder what happened to the house? As soon as I can get someone to take me to the Historical Museum who can help me, I’ll look for photos.